Kitagawa Europe will be at AMB in Stuttgart, Germany from 18th - 22nd September. See us at Hall 3, Stand 3C46. We look forward to seeing you there. Kitagawa Europe will be at Industrie Paris from March 27th - 30th 2018 with our distributor Bucci Industries. You can find us at on stand 5C166 - we hope to see you there! Kitagawa Europe will be displaying at MACH 2018 in Birmingham, UK with our UK distributors, 1st Machine Tool Accessories. Come and see us on stand H20-560 from the 9th - 13th April 2018. 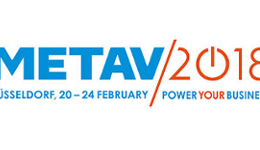 You will find us in Hall 14,Stand 14C76 We look forward to seeing you atour METAV stand!